HE’S GOT RHYTHM IN HIS FEET! CROWDS go wild whenever Blue Sky Dinaka dancing group is announced at competitions or festivals. They know the Pedi dance group will deliver the best, as they show off their moves dancing to the sound of five pipes. The star of each performance is performer Tlhoriso Malema, who, despite having deformed legs, dances the best of them all. Dance star Tlhoriso (23) comes from Bosehla Village in Senwabarwana, outside Polokwane. He is one of the young members of the group from GaMalebogo that performs every Sunday in Tembisa, Ekurhuleni, Gauteng. 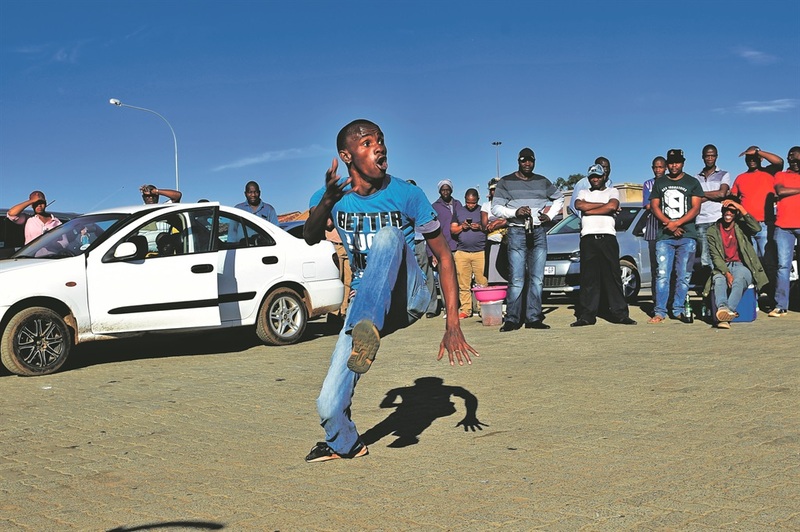 Tlhoriso said he was eight when he started performing dinaka, the traditional Pedi dance for men using difference types of diphala for the special melody. Tlhoriso was trained by community leader Sebaila Sekgwaila. Tlhoriso suffers from a condition called phocomelia, that left his legs deformed at birth. “I was born this way but it has never stopped me from dancing or following my passion. Unemployed Tlhoriso’s big dream is to dance in a movie to display people with disabilities’ talents. “I am also looking for a filmmaker who can follow me around wherever I perform, so that we can record this dying Pedi traditional dance.